The RK-6A table top platform stand combines a versatile horizontal boom arm and a precision-focusing vertical adjustment for sharp, clean images. The RK-6A also features a quick-release pin within the machined vernier focus block that offers vertical re-positioning at the the touch of a button. Push the button in and slide the arm up or down to the desired height, then release the button, focus the microscope thumb wheel and fine-tune for a sharp, clean image. 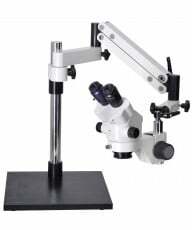 The extension boom arm can rotate 360 degrees within the focus block, permitting the Dinolite microscope to view vertically, horizontally, or any angle in between. 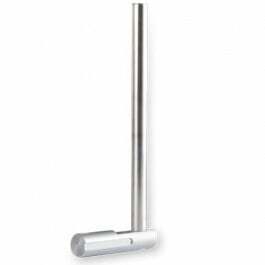 The horizontal arm offers 60mm of lateral movement and the vertical post allows 290mm of height adjustment. An included 130mm extension bar offers yet additional reach for imaging large subjects like PC motherboards, paper samples and other items. The stand is constructed of durable and lightweight machined aluminum with a stain-resistant finish, making it an ideal choice for lab work, pcb inspections and industrial assembly line quality check stations. 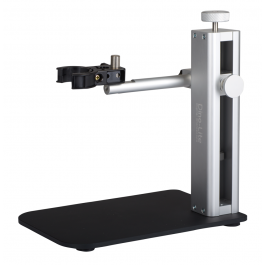 For added versatility, the RK-6A can be easily paired with the new Dino Lite MS15X XY+R Base with Removable Rotating Table which allows you to move a specimen on both the X and Y axis as well as rotate it 360 degrees in a steady, controlled manner. Accessories: Stand, Extension Arm, HD-P1 holster. 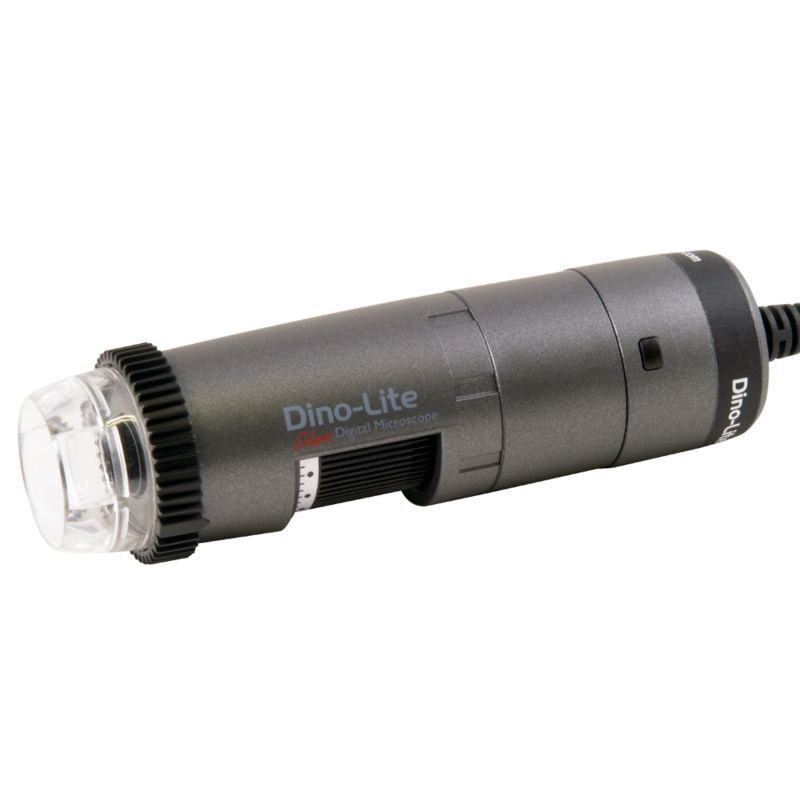 Dino-Lite offers this economic stand option to accommodate its line of handheld digital microscopes. 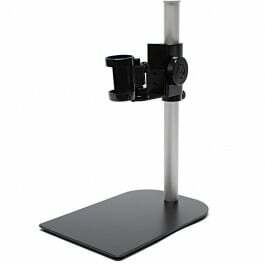 This flexible, versatile desktop stand provides an excellent hands-free solution to shaky images. 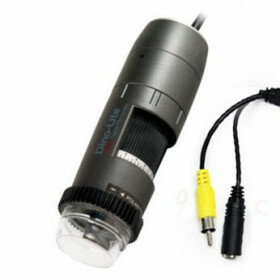 It's ideal for users who seldom need to change focus or magnification. The Articulating Desktop Stand, with a convenient adjustable point of view, comes in gloss black, making it a stylish choice for any environment. The MS22B is another versatile tool in the expanding line of Dino-Lite accessories to help you maximize your potential. 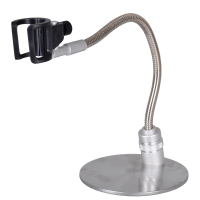 If working distance is what you seek with your digital microscope stand, Dino-Lite's Rigid Versatile Stand is the ideal choice. Not only does the MS35B tabletop stand allow for 8 inches of vertical working space from the specimen, but it also provides up to 360 degrees of horizontal axis rotational perspective. It can be easily paired with the new Dino Lite MS15X XY+R Base with Removable Rotating Table which allows you to move a specimen on both the X and Y axis as well as rotate it 360 degrees in a steady, controlled manner. The grip holster is fastened to a focus block by a ball-and-socket joint which pivots, providing 80 degrees of lateral viewing angles. The focus block offers rack and pinion action and 1.0" of vertical movement to fine-tune your image for optimum detail. The stand is constructed of durable stainless steel and lightweight recycled aluminum, making it an ideal choice for lab work, pcb inspections and industrial assembly line quality check stations. The MSRK-10A table top platform stand combines a versatile horizontal boom arm and a precision-focusing vertical adjustment for sharp, clean images. The RK-10A also features a quick-release mechanism within the machined vernier focus block that offers vertical re-positioning at the the touch of a button. Push the button in and slide the arm up or down to the desired height, then release the button, focus the microscope thumb wheel and fine-tune with the vertical knob for a sharp, clean image. 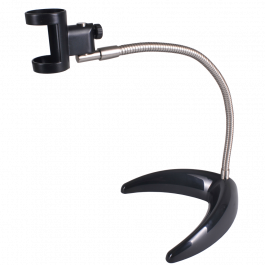 An included safety collar offers a secure reference point for repeated observations at the same magnification level. 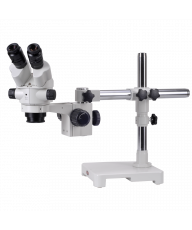 The boom arm can rotate 360 degrees within the focus block, permitting the microscope to view vertically, horizontally, or any angle in between. The horizontal arm offers 115mm of lateral movement and the vertical post allows 148mm of height adjustment. An included 130mm extension bar offers yet additional reach for imaging large subjects like PC motherboards, paper samples and other items. For added versatility, the MSRK-10A can be easily paired with the new Dino Lite MS15X XY+R Base with Removable Rotating Table which allows you to move a specimen on both the X and Y axis as well as rotate it 360 degrees in a steady, controlled manner. 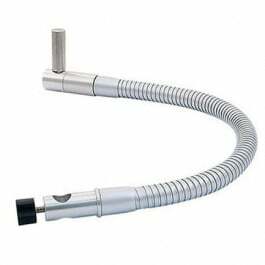 The new RK-02 is a durable and flexible gooseneck arm designed to work with any Dino-Lite microscope. It offers 23 inches of reach, a C-clamp capable of attaching to any workbench or post up to 3 inches thick, and an included MSA2HL holster to securely attach any model of Dino-Lite microscope. The Dino Lite RK-02 is a bigger, industrial version of our popular MS23B flexible clamp stand. It gives the user a 360-degree range of movement as well as the freedom to move the microscope vertically and position it in awkward, hard-to-reach spaces. The metal flexible arm can be bent into the position of your choosing and holds your Dino Lite steady, freeing up your hands for other tasks. The holster attachment point also rotates 360 degrees for added flexibility. The flat section C-clamp attaches to any table, workbench or post up to 3 inches thick, offering a quick and secure mounting point in an otherwise inaccessible work environment. The Dino-Lite MSRK-10VX is an optional rigid arm extension which increase MSRK-10A's vertical reach and effective working distance by 150mm (5.9"). 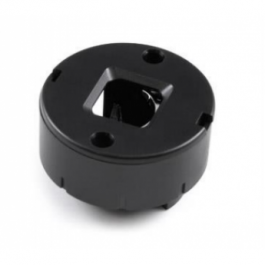 TheMSRK-10VX also features a machined rotating mounting pin which allows 360-degree observations from any angle required. MSRK-10FX is an optional flexible arm extension which increase MSRK-10A's effective reach an offers a wide range of motion with good flexibility and stiffness to hold any desired position. The RK-10FX also features a machined rotating mounting pin which allows 360-degree observations from any angle required. 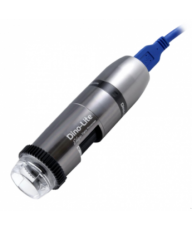 The N3C-A Coaxial Light cap creates coaxial illumination for Dino-Lite Edge series handheld digital microscopes. The coaxial light beam is formed by using a beam-splitting mirror to collect and focus the light rays into a single powerful beam. 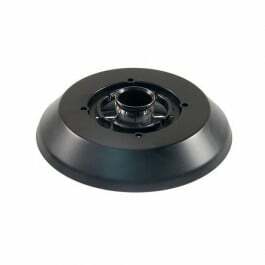 Note: This cap will reduce working distance by 5mm and the higher magnifications may not be attainable. Ideal for field work, industrial inspections or classroom trainings, the new Dino-Lite WF-20 WiFi adapter is an innovative and welcome addition to the world of wireless communication. 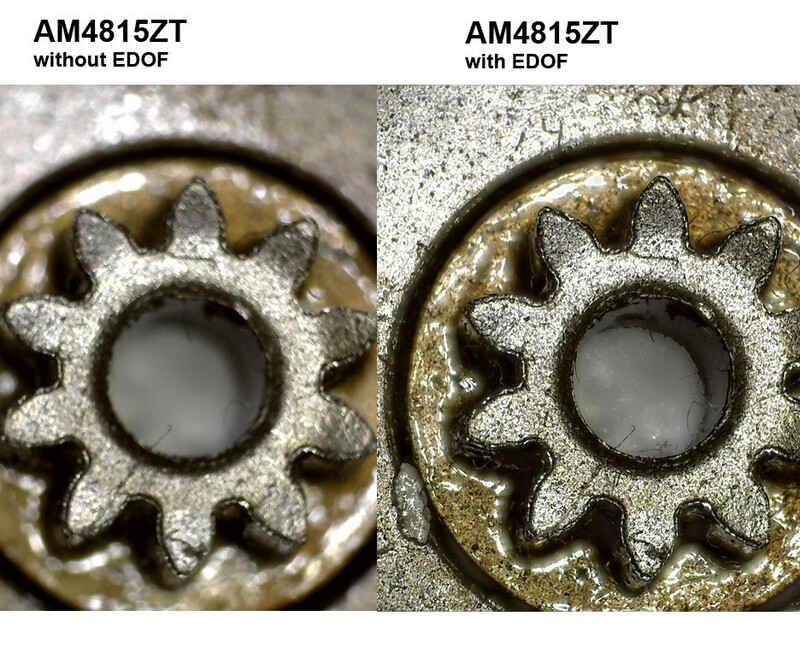 It allows for Edge "AF" series Dino-Lite microscopes to stream images and video to an iOS (iPad/iPhone) or Android OS system on up to 4 smartphones, tablets or computers. First, download and install the DinoConnect app from the App Store for iOS, or Google Play for Android version, depending on your device. 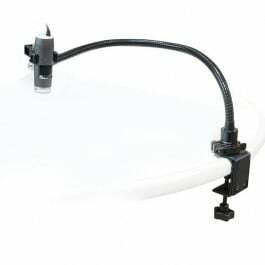 Next, remove the back portion of your Dino-lite AF series microscope, connect the WF-20 and switch the power on. From your iPad or iPhone, go to wifi settings and select "Dino-Lite WiFi Streamer". Then start the DinoConnect App and the microscope will feed live images and video via the WF-20 for display on your Android device, iPad or iPhone. The app offers intuitive menu options for resolution, image or video capture and exposure level, and the LED can be switched off and back on from within the app as well. Users now have a mobile WiFi inspection station wherever needed, from the factory floor to the classroom or anywhere in between. 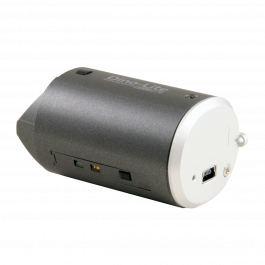 Package includes WF-20 wireless adapter, AC Power supply (100V-240V), Li-Ion battery. 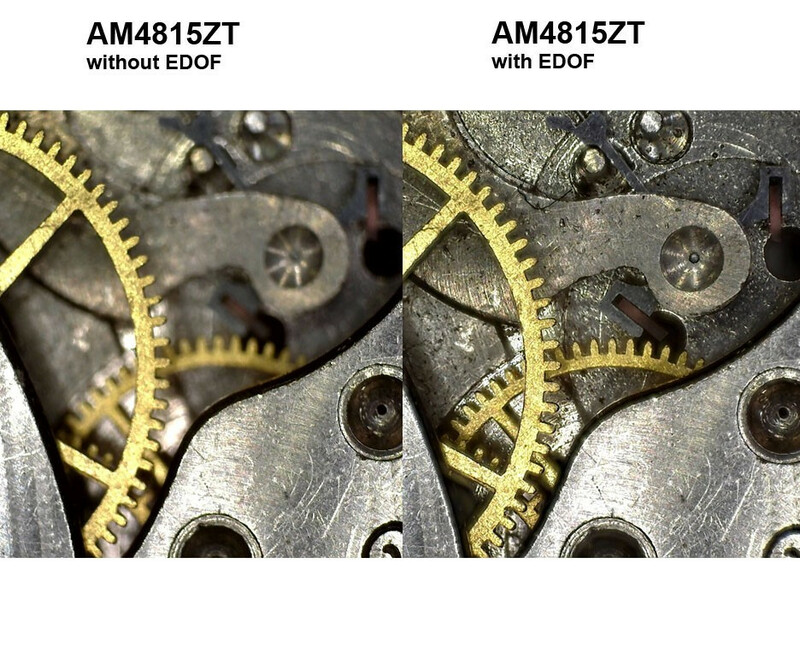 The AF4915ZT is the newly-introduced flagship of the 1.3MP Edge series lineup, with 20x-220x continuous zoom magnification, Extended Depth of Field and Automatic Magnification Readout. The new modular wireless-ready design allows for output by USB connection or a quick swap to wireless with a WF-20 adapter (sold separately) making for a conveniently cordless and portable digital imaging solution. 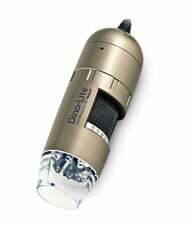 Other Standard features include 1.3 MP resolution, adjustable polarized light and Flexible Lighting Control (FLC) for challenging lighting environments. 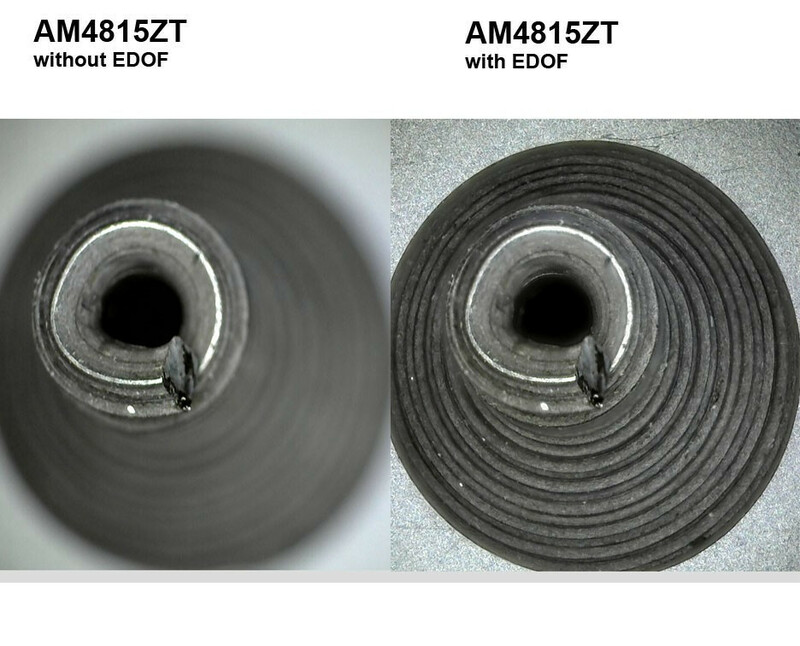 The AF4915ZT also includes the useful MicroTouch image capture button, magnification scroll lock and USB 2.0 output. Still and live video capture is also standard. The new sensor offers greatly enhanced image quality and sharpness with less aberration and vignetting. 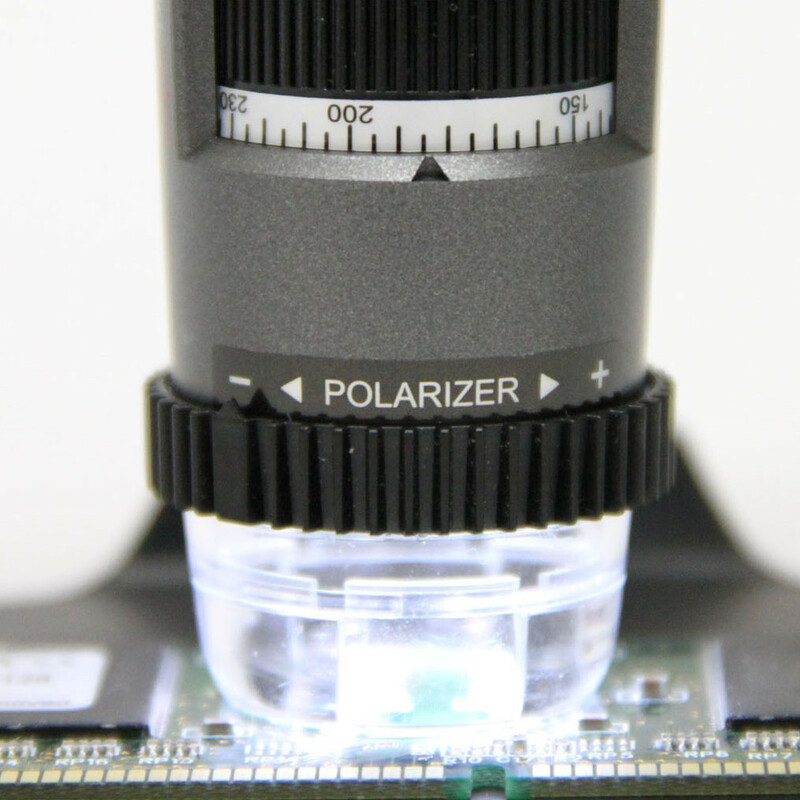 The microscope is PC-MAC compatible (though EDR & EDOF are Windows-only), with included measuring software and a 2-year warranty. 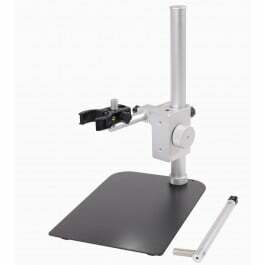 Dino-Lite offer a wide range of stands, which are recommended for all but the lowest magnification levels. 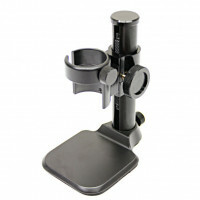 For your convenience, we have selected some of the more popular stands for this microscope. 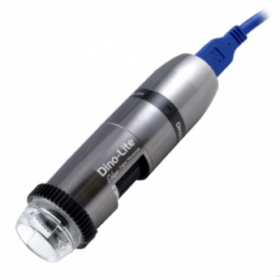 This Dino-Lite software is robust and reliable with some great features as follows: image capture, storage and email, live and time lapse video (up to 30fps), annotation, geotagging, full screen capability, auto and manual exposure control, picture within picture zoom (magnifier) and more. Above all the color resolution is excellent due to fixed white-balance calibration which is set at the factory using a jeweler's color balance. There is also additional, free software available for download: DinoVision enables easy image drag-and-drop, split, overlay and comparison, which has proven useful for Forensic Scientists and more sophisticated users where image manipulation is important. Accessories included: Software CD, calibration target, cord strap, alternate end caps. 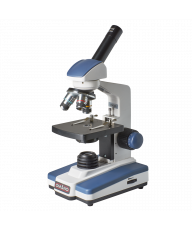 Download our Free Guide "How to Buy a Professional Quality Microscope for the Lowest Possible Price"